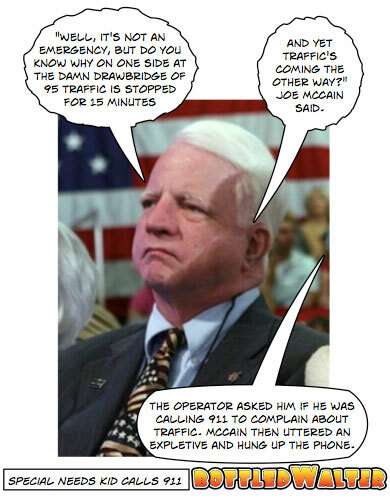 “Well, it’s not an emergency, but do you know why on one side at the damn drawbridge of 95 traffic is stopped for 15 minutes and yet traffic’s coming the other way?” Joe McCain said. The operator asked him if he was calling 911 to complain about traffic. McCain then uttered an expletive and hung up the phone. Note: Do we need a number to call for oddities in current events rather than calling 911?